This program will meet the mandatory training for licensing in the Wood-Destroying Insect Inspection (Category 12) as required under the Ohio regulation. Training is conducted by the Ohio Pesticide Safety Education Program, Ohio State University Extension, and the Ohio Department of Agriculture, Pesticide and Fertilizer Section. For detailed information on becoming a WDI inspector, click here. Registration and check in opens at 8:30 a.m. The class begins at 9:00 a.m. The class fees include a continental breakfast, instruction, and class notes. Lunch is included with pre-registration. Preregistration closes one week prior to the course. Refunds and Cancellations: There will be a $25 processing charge for any refunds. No refunds will be given after two weeks following the class. There is a $30 fee for any returned checks. This course is required to receive state certification to conduct wood-destroying insect inspections for real estate transactions. After applying for your license, you will recieve study materials in 4-6 weeks. The study materials will also be provided at the training course. The test will be offered upon completion of the course. You may take the test before taking the course. 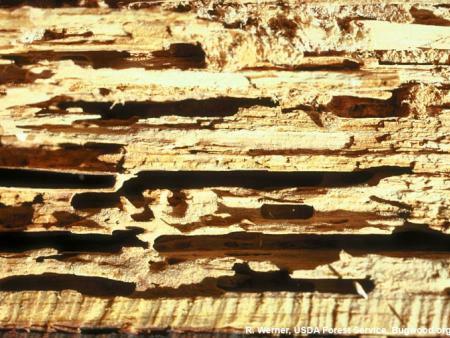 For more information about Wood-Destroying Insect Inspections, click here. Applicators with core, category 12, and/or category 10b on their license can receive recertification credit if space is available. A total of 5 hours of recertification will be offered for the day: 1 hour for Core, and 4 hours for category 10b (there is no specified for category 12). Preference is given to those attending for initial training. There is no on-site registration for recertification credit. Registration Questions: WalCom-Registration Services (740) 524-4123. Program Questions and Licensing Questions: OSU Pesticide Safety Education Program (614) 292-4070.